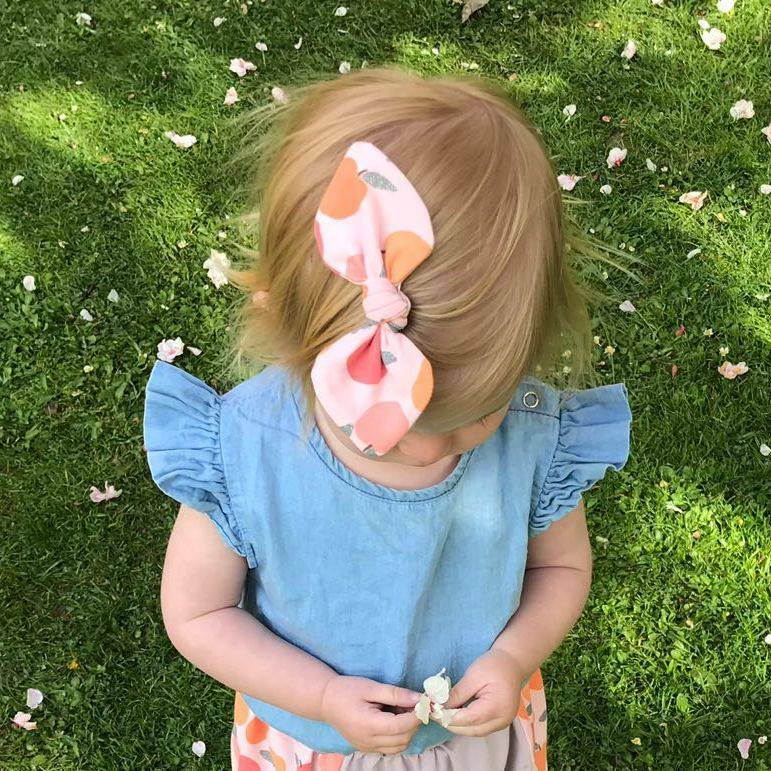 Beautiful Bow Hair clips set, combining a Dusky Rose Pink Bow, and Cute Peach Print Jersey bow, perfect for Baby, Big sister or Mama. A perfect Baby Shower, new Mum or Baby gift these Bows for Baby and child are the perfect baby shower gift or gift for new baby. This stylish Headband set is made using beautifully soft Cotton Jersey, and is a perfect gift for Sisters, Cousins, Besties or Mama. 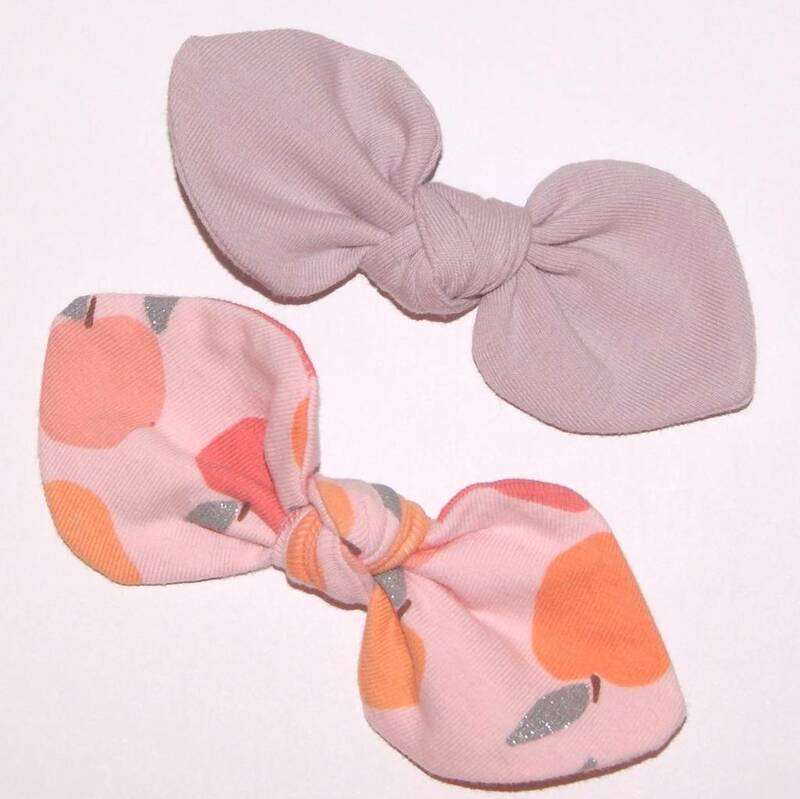 Available on a soft Nylon Headband, Hair Clip or Hair Tie, this pretty bow set makes a beautiful accessory for any age. Our Bows will fit from newborn upto adults, making them the perfect accessory for family twinning. Bows are also availabe as larger Headwraps. Bows approximately 12.5cm long and 5cm wide. Headband 27cm long, unstretched. These headbands are one size fits all, so they will fit from Newborn upto Adults. 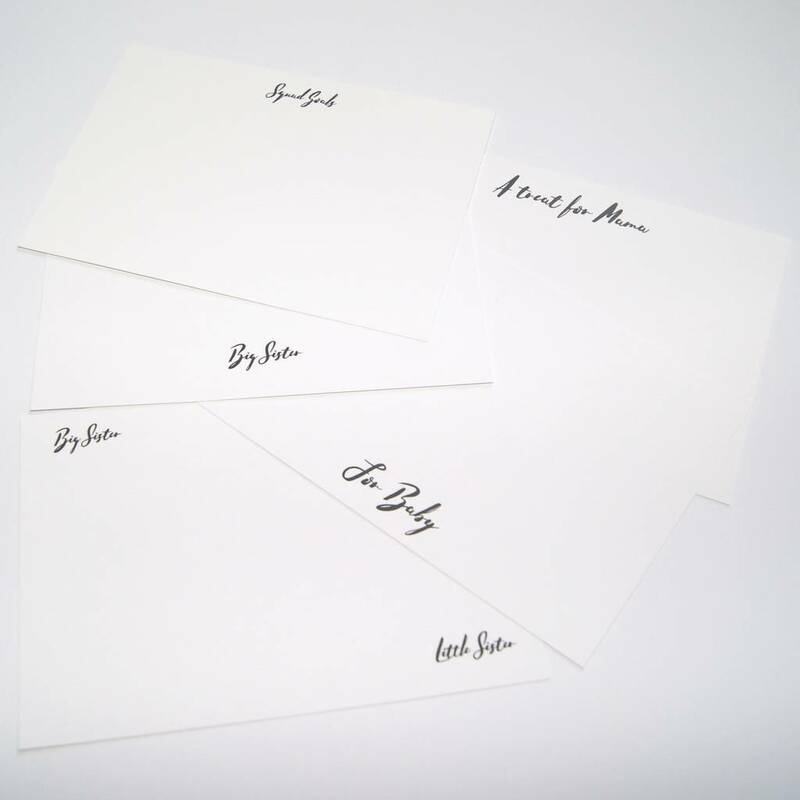 This product is dispatched to you by LittleLily.